The SUCCESS programs are designed to serve students with disabilities who have educational needs that require curriculum with additional instructional strategies beyond that which general education can realistically provide, or an alternate curriculum with more intensive staffing. Elementary and Middle School students’ curricular focus includes communication, basic academics and self-help skills. For secondary SUCCESS students, the program is three-pronged, focusing on Life Skills: functional academics, vocational training and independent living. Many SUCCESS students require related services: Vision, Hearing, Physical, Occupational, and/or Speech-Language Therapy and those are provided within the SUCCESS structure. The local IEP team must provided data to rule out severe emotional/behavioral impairments as the sole reason for the cognitive, adaptive and/or self-help delays. May have additional physical or sensory disabilities. In an additional category for SUCCESS 4, secondary students with one of more standard scores falling 2 standard deviations below the mean (70 or below) on norm referenced instruments will be considered for enrollment. The enrollment committee will review the information to determine if the student would benefit from life skills training and/or functional academics. While Criteria 1 would be waived in these cases, Criteria 2 would continue to apply. Achievement results following interventions tried locally (requires more frequent progress monitoring than quarterly reports). Once enrolled, every effort will be made to include the SUCCESS student with their same age peers in the general education environment, with support as deemed necessary by the SUCCESS IEP team which includes the prospective classroom teacher. The rationale for general education placement should be clearly defined i.e. socialization, communication, behavior, motor development, etc. If the student is placed for curricular reasons, the concepts that are expected to be mastered should be clearly defined prior to enrollment. For instance, if a student is to enroll in a Home Economics class, he would not be expected to be responsible for every assignment, project and/or test. Rather, the IEP team would review the curriculum and define appropriate concepts. i.e. cooking a simple dish; defining healthy and unhealthy foods; comparison shopping; basic home safety, etc. As a least restrictive alternative, SUCCESS students should be enrolled in a block of time in their neighborhood (home) school for their regular education classes if possible. If transportation and instructional considerations do not allow this option, some scheduled interaction with regular peers in their home school is encouraged. Selection Committee: Local IEP manager, sending school administrator, FC administrator of proposed building, SUCCESS Coordinator, and proposed SUCCESS teacher. The administrators from the receiving and sending school districts have the option of inviting others as deemed necessary. The philosophy on which all ESU programs are based is that children with disabilities must have programs designed to meet their individual needs, with instruction taking into account a child’s developmental level as well as his or her chronological age. Staff members use a child’s strengths rather than focusing on a child’s limitations to create an appropriate educational program. All areas of a child’s development are considered when IEP goals and objectives are written: Communication, Functional Academics, Social Skills, Vocational and Motor Development, Personal Management, and independent living. The programs stress inclusion in the regular education setting when the IEP team determines that a student’s goal(s) can be effectively addressed there with the use of supplementary aids and services, students attend general education classes. As a result, each student’s daily schedule varies according to which classes/activities in the general education setting are deemed appropriate by the IEP team. Once the IEP has been written and approved by parents, the teacher develops the instructional plan, including how and where instruction will be delivered. Skills can be taught in individual and group instruction in the general education classroom, SUCCESS classroom, and in the community. 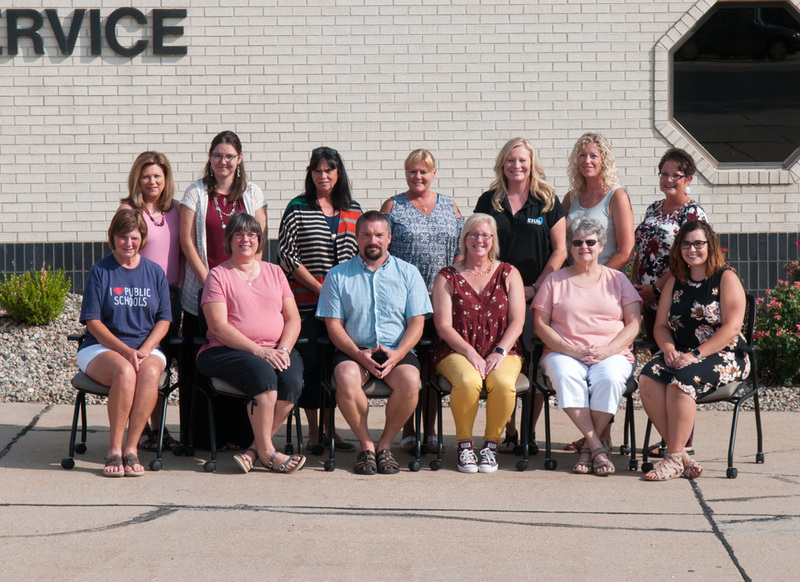 SUCCESS 1 and 2 typically serve children in preschool and elementary grades; programs are located at Fillmore Central Elementary School in Geneva. SUCCESS 3 serves students in the middle school grades (5-8); located at Fillmore Central Middle School in Fairmont. SUCCESS 4 serves students in grades 9-12 and to age 21; located at Fillmore Central High School in Geneva. Factors considered by an IEP team when determining which, if any, SUCCESS program might be able to meet a students’ needs include cognitive ability, age, self-help, communication, mobility, and academic skills. Each IEP documents the consideration of placement in a program in the Least Restrictive Environment during the annual consideration of placement in SUCCESS.